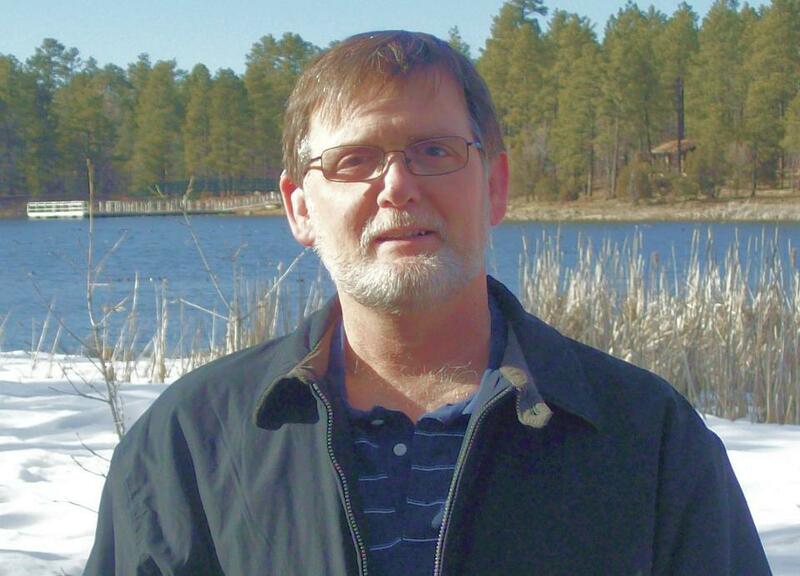 Jeff Gafford was born and currently lives in the Phoenix, Arizona area. Although he studied the ministry and music his life took him into the corporate and government security field. A married father of four, grandfather of two, he now writes stories and shares his life experiences while still maintaining his day job. Below is the interview I conducted with him on life, writing and some experiences on his travels. Tell us where you were born, where you grew up and where you currently live. I was born and raised in Phoenix, Az. I currently live in Chandler, an outlying city near Phoenix. How has and how does living in Phoenix affect your writing, if it does at all? I think, to a degree, that it has given me a sense of change. Phoenix these days, is not the town I grew up in. It's a big city that has gone through a few rapid growth periods that brought in many different cultures, both within the U.S. and from other countries. With each new wave came a new change. And you incorporate that in your novels? Give us an example if you do. I incorporate the sense of change, for example, in Summertown by the description of the town during the beginning of the novel and by the events that take place. within the span of a few months, this little place that has had virtually nothing of note ever happen, suddenly experiences violence and murder as well as a few events that scandalize the residents. You are married, do you have any kids, grandkids? I have four kids and two stepkids. I have two grandsons, one that I see very regularly that lives with his mom in northern Az. I studied Music Education at Glendale Community College and NAU. My main focus was vocal theatre performance. 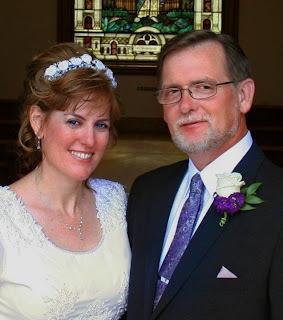 I married during my junior year and didn't complete my degree; one of the big regrets I have. I spent a year studying Criminal Justice and took several law enforcement related courses during my career in security. Have you ever performed since your college days, and how does music factor in your life and your writing these days? I really haven't performed much since college outside of singing at friends' weddings or singing or acting in church services. My wife keeps telling me I should get back into it. I guess I'm a frustrated amateur. It was my first love as far as career choices and I left it to pay bills for my families. You currently write novels, other than that, do you have a day job and if so, what is that? I work in the Security department of an internet company. I've been working in both corporate and government security since '87. I also spent three years in Haiti where I owned and ran a wholesale merchandising business while working as the Chief of Security and Facility Manager for a company in Port-au-Prince. Where you there when the earthquake hit? If not, have you been back there since you left? I was there in the early '90s. No, I haven't been back since although I've wanted to. I have some good friends there and lost a few in the earthquake. As a matter of fact, the store I owned was located in a section of town that was flattened by the quake. Will Haiti and maybe Port A Prince ever be a setting for one of your upcoming novels or short stories? In fact, my next novel opens in Haiti. It is a sequel to Summertown and it gives a considerably closer look into the backstory of the main character, Jimmy Stone. Tell us about your book, Summertown, what is that about? 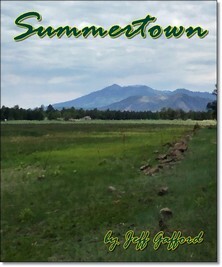 It's about a small town in Northern Arizona that started out as a retirement village but ended up as a quiet get-away summer vacation town. Its main character is Jimmy Stone, an accountant from Phoenix who moved his wife and daughter there several years before. The book opens with Jimmy being shot, then backtracks several months to show how it happened. While the book has one primary plot going, the subplots are significant enough to almost make them co-plots. It's very much a character-driven story. Do you use flashbacks and jump back and forth throughout the story, much like Tarantino did in Pulp Fiction? No. The opening scene is the only place a flashback is used. I placed it at the beginning so that the reader is immediately introduced to the main driver of the story. How did you come up with that idea, and where do the ideas for your stories come from? I started Summertown as a short story. Kind of a story exercise, describing a town I'd like to live in if I ever get to retire. But as is often the case, the story took over and the characters began taking on a life of their own. In fact, much of the dialogue in the story came to me, in a way, as actual conversations that the characters were having in my head. MY short stories come from virtually anywhere. My wife gave me two titles, for instance and challenged me to write stories for them. How much of your past experience in the security field do you use in this story...and others? The security field itself informs my writing with regard to fight scenes, investigations, etc. As I have studied and performed investigations of various kinds it helps in writing crime scenes. I have been a Defensive Tactics instructor for nine years which helps in writing fight scenes. Does your wife write as well. Does she read your raw work and give her thoughts before it gets out there? Summertown in its various levels of development at least fifteen times. How do you find the balance between work time, family time and writing time, and do you feel you would write more if you were single and maybe not employed? I find it difficult to balance, not because I'm married or employed but because I haven't developed my writing mindset to the point that I can take my free time and immediately start writing. It takes time for me to work myself into it and often just do free writing to get primed. If I were single, I'm sure I would still be writing Summertown since my wife was the first one to seriously encourage me to finish it and get it published. A very good friend and writing partner, Erik Ekstrom (author of the Everett Holmes detective novels) makes a point of checking on me to make sure I'm still moving forward. I'm improving in discipline now. 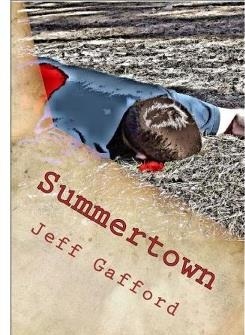 You have stated before that you enjoy writing character-driven stories like Summertown. Why character driven as opposed to plot driven? I like using a plot to allow me to get to know the character. While my stories do have plots, they are used to affect the characters or to introduce who they are to the reader. For example, Two Fat Cats and a Teapot Named Frank is, I suppose, a short-short about a lonely young man with a severe schizo-affective illness. His trip to the corner store begins a misadventure in which he inadvertently finds friends, hopefully including the reader. It's about how human we all are, with the the basic need for companionship regardless whether or not one's behavior is "normal". You have a broad taste in literature; some of your favorites being authors such as C.S. Lewis, Ernest Hemingway, Larry McMurtry and Steven Havill, Where did that come from and how do you think that affects your writing..if it does? I am a Christian and I love reading well-presented discussions about the faith. C.S. Lewis is one of the greatest for that in my opinion. The range of his stories is broader than many would think. Besides his famous Narnia series he also has a Science Fiction Trilogy (admittedly it isn't his best work but the first two novels in the series have a rather interesting viewpoint on the subject of life on other planets and its relationship to God's existence). I love Hemingway's sparse style. He doesn't spend an enormous amount of time with flowery descriptions yet I find myself absorbed into the scenes of his stories. Havill is terrific in the way he builds a little place in the middle of the New Mexico desert that has very human but very likable characters and, even more impressive, is his ability to make the reader accept the possibility that there can be so much murder and mayhem going on among so small a rural population. I try to bring these qualities that I admire so much into my own writing while keeping my own style intact. In terms of life experiences, what is off limits as far as you are concerned? Do you keep the experiences and change the names and some events, or do you completely exclude them? I keep experiences and change the names sometimes, but most often I modify the experience enough that while someone may see themselves in it they still wonder if I'm recounting their story. For instance, in Summertown when shy, reserved Jhoon Shirazi discovers he's been walking around in public with his shirt inside out after spending an overly amorous afternoon with his girlfriend, I was recounting with very slight modification what happened to me long ago. You don't have an actual blog. What is your thought process on why you blog in the way you do? Frankly, I have been trying to decide which of my many interests I would do best blogging about. There are entirely too many blogs about writing and entirely too few really good ones. I do have a blog but as I believe you were correctly implying, it doesn't have a coherent core topic. I will be rectifying this very shortly. What possible topics or sectors do you think you will tackle when the time comes? In what ways do you market your writing, and have you found any of them to be more effective than others? I've used Authorsden.com, Smashwords.com as basic platforms and have been more pleased with Smashwords. I go to book festivals where I network (an overused word I think) with writers and readers alike. Outside of posting on websites that permit me and readers mentioning my work to others I have not been very successful in finding a particularly effective marketing channel. To a great extent I think that may be due to the fact that my work doesn't always fit a particular genre. That's certainly true of Summertown. You are on Authors Den. I had never heard about it before I saw you use it and don't really know much about it. How does it work and what has it done for you? Authorsden offers several levels of marketing service. The basic is free but very limited. Each level offers more but is of course progressively more expensive. The writer is given their own author page in which they can showcase their work with as many links as they wish to use. The membership I used was the Gold, which at $60 per quarter was more expensive than it was worth to me. I now use their free page. Early on I used the "what would be good to have happen next?" or "Stare at the page and hope a story writes itself" approach. Now I begin with a very skeletal outline, usually written using bullet points and I'm always ready change them at any point during the story. I have a terrible addiction to editing myself as I go along which really slows down production. But I'm working on it. How long have you been working on Summertown? I began it three years ago and actually finished it last year. I took long breaks from writing during it and made quite a few changes along the way. My second book is almost finished. Will that also be called Summertown? It will be identified with the Summertown series if there are more beyond the third installment that I'm currently outlining, but it will have another title. Currently its working title is Summertown2. You have worked in the corporate and government security field, Tell us about that? Any interesting, short stories that might shock us? Yes. Especially from my time in government healthcare security. I can't say enough good things about the staff of the government-run hospitals and clinics in this country. They handle some extraordinarily dangerous and heartbreaking events and rarely get paid what they're worth. You spent a short time in the Caribbean, where you have said you "learned what true poverty--and true selflessness--really mean." Can you elaborate on that? Yes. I recall a young man who worked as a porter. I hired him to move merchandise from my store to a small boutique a few blocks away. Everything went well until about the third trip when he suddenly dropped dead outside my store. We found out that he had been arrested the night before and the police had beaten him so severely that a blood clot had formed in his brain, killing him instantly. When his widow came by the following week to see where he died, everyone, without exception (street merchant, porter, store owner, policeman...) gave of what little money they had to help bury him and to help out the woman who had two small children and no means of support. This was the rule, not the exception. Well, writing used to be, so I need a new one. You seem to have decided to write later in life. Why is that? Why now? I'm not sure. perhaps it's because I can look back on my life and see the interesting things that have happened to me, stories that were told to me and just get a sudden desire to share them in some form. You try to infuse some humor into your tales, no matter how serious the subject matter. Why is that important to you? Two reasons. #1, In particularly tense and often terrifying situations a dark sense of humor has always help to break the tension. #2 So far as writing is concerned, I find it is a great contrast tool. If I have a particularly violent of heinous deed happening in a story I try to at least have something humorous in the background. Tell us something that no one in this group knows about you? I also studied to the ministry briefly, right after high school. Why did you decide not to pursue that? I had very little discipline and I was easily tempted, which told me I had no business taking on a vocation that required I be an example to other Christians. Outside of a plug for my book, Summertown on Amazon and that I find your blog and this group to be top-notch and educational, no....Oh wait! my short stories will be out very soon. watch for "Three sets of Shorts". Thanks. I learned a lot. I am sure the group members will as well. I sat watching TV, like I always did most days, looking at the window and thinking maybe I should take a look out to see what was going on in the world. I decided I could find that out when the news came on at six. I kept watching until the game shows came on and there was a very pretty lady and a well-dressed man turning a big wheel and telling people to pick letters, and I was so bored with the whole thing that I just got up and walked out the door. I walked and walked until I found a cat sitting on the sidewalk purring at me. He followed me all the way around the block and when I got to the store that I always went to, to get my morning coffee they looked at me weird because I was there in the afternoon. I bought a big cola off the shelf because I hate cold cola, of some odd brand that looked like a really dark varnish but I didn’t just want to look around the store because they would call the cops on me again. The last time I was there they called the cops because I was killing time until the news came on and they thought I took something and put it under my shirt but I didn’t. They called the cops because they didn’t believe me. They were really nice after that but I didn’t want to take a chance. The cat came in after me and the lady at the counter asked me if it was mine and I said no, it followed me all over today but it isn’t mine. She shooed it out the door with a broom. After I bought the soda I went outside and started looking for the cat. He was sitting and waiting for me still out by the lamp post. He was a big, long-tailed gray cat and he had a chewed- up right ear and one eye that squinted a lot. His tail curled around and around then unfurled and curled around and around again. When I started walking again, he followed me and we kept walking and I drank the big bottle of soda that tasted awful, and when I was done I got the jitters real bad. That was when I remembered I wasn’t supposed to drink a lot of caffeine with my medication. That was what the doctor told me when they put me on it last year. So I threw away the bottle in one of the big trash cans outside the strip mall and I kept walking. But my stomach started to hurt really, really bad. I decided to go home and lay down so I walked back the way I came and as I walked the cat walked ahead of me and while we walked he grew another cat out of his head and they were both walking in front of me. They got bigger and fatter while everybody was looking at me. I didn’t understand why people were looking at me when there were two big, fat cats walking in front of me, one grown out of the head of the first one. And I started getting really, really hot and sweaty and my stomach hurt worse and worse. I was having a hard time walking so I leaned on a lamp post whenever I passed one. I got to the front door of my apartment and I tried to get the key in the lock for a little while but it wouldn’t go in. I sat on the doorstep and tried not to vomit but I couldn’t help it. I vomited all over the stairs and I think people passed by me but I couldn’t look up ‘cause I was too busy vomiting. I was really, really dizzy. And I laid down on the front step of my apartment and looked at the cats. They were singing, “I’m a little teapot short and stout. Here is my handle, here is my spout.” But they didn’t make the motions like you’re supposed to when you sing it. But there was a big ceramic planter on the doorstep next to my head and he started making the moves while they sang. And after I vomited again the planter started talking to me. And he was telling me I was going to die if I didn’t go to the hospital soon but I didn’t believe him. "I’m just sick because I drank soda right after I took my meds,” I said. “Because I’m a paramedic,” he said. “I thought you were a teapot,” I giggled. But I started vomiting again. I got picked up by a big bunch of hands and they put me on something that made me float and that was all I remember. When I woke up there was a doctor and a nurse standing next to my bed and my arms and legs were tied down and I had a really sore throat. I heard the voice of the teapot-planter talking over to my right but I was too groggy to turn my head or anything. I heard him talk about me but I couldn’t hear very well what he was saying. Something about a cat outside. I tried to say there were two cats but they just shushed me. I asked the teapot his name and he said Frank Gerlinger. I told him that was a funny name for a teapot and he said he gets that all the time. The doctor and nurse laughed. I asked about my cats and they said I only had one cat outside and was it mine? I decided that it was, so I said yes. And the doctor said that I was going to be in the hospital for a while because I drank poison and they had to pump my stomach. Then he said they restrained me because I tried to hurt the guys in the ambulance. I told him I didn’t remember doing that and he said he believed me. He said if I was calm and did what the nurse told me I would be let out of the restraints I was in. I said OK. I looked around and I couldn’t find Frank. I asked the nurse and she said he was already headed back to the station. I said I wanted to talk to him. He was my only friend. He saved my life and I wanted to thank him. He was my only friend and I wanted to ask him to find my other cat, the one that came out of the first cat’s head and I wanted to have him over to watch TV with us. We’d sit and watch the game shows and the news and talk; all three of us. The two fat cats the teapot named Frank and me. She said she would call him and see if he could come by later to visit with me but I knew he wouldn’t come. They always say they'll come back to visit but they never do. I fell asleep after talking to the nurse and when I woke up I was feeling kind of better but kind of sad. I asked for the nurse but the one that came was a skinny little guy in a blue scrubs suit. He said Sally went home and he was my nurse now. I said I wanted to talk to my friend Frank. He said, "Frank who?" I said, "The teapot". He laughed at me and I got mad and started yelling at him. Then the doctor came and told him to restrain me. I knew what that meant and I got madder. That nurse didn’t have to laugh at me. All he had to do was call Frank but he just laughed at me like he was better than me because he didn’t live all by himself like I did, with just a TV to watch. I tried to make them let go but they just held me down and tied me to the bed and the doctor stuck me with a needle and I went to sleep again. I woke up in a different room, all by myself, on a little bed. There was a big metal door with a window in it and a camera was in the corner and it was pointed at me. I sat up and I noticed that I wasn’t tied down any more. A man in blue scrubs came in and said that I was going to be staying there for a few days because I tried to kill myself. I told him that wasn’t true. I said I drank a bottle of cola with my meds and it made my stomach ache. I asked him where my cats were and he said he didn’t know. Then he closed and locked the door so I couldn’t get out. I sat down and waited because the last time I got mad they made me go to sleep and I was still drowsy. Besides, I wasn’t really mad anymore. After a long time they let me out and told me that if I was quiet I could sit in the dayroom with the rest of the patients. I said I would and they walked me there. I saw a lot of people sitting around watching TV, playing cards, reading and just looking out the window. I went over and sat and watched TV. One of the patients there was a tall, fat guy with gray hair that stuck up in the air. He said his name was Frank. I said I knew a Frank, but my Frank was a teapot. He got mad and said I was making fun of him. I tried to tell him I was telling the truth, but he just yelled at me. He got up and was going to hit me, but the nurses grabbed him and took him into the room they'd just let me out of. The other people in the dayroom cheered because the guy was a jerk. Then they all came and sat by me and we watched game shows together. I decided that I didn’t need the teapot named Frank after all, because now I had real friends like Howard the space pilot; Charlene, who likes to eat pencils and paperclips and stuff and Jerry, the guy who just sits and rocks back and forth and sings Hank Williams songs. The rest of the people in the room keep asking Jerry to stop but I like when he sings. It reminds me of my cats. I hope they don’t make me leave. I started sprinting full-out, but that only lasted about ten paces or so. A bullet hit me in mid-stride that struck with such jarring force that it felt as if my entire body had been hit. I tumbled forward, unable to catch myself as I slammed face-first onto the forest floor. It was strange; I couldn’t feel anything and I found myself thinking about that, almost dispassionately, like an outside observer would. I felt the impact on my face when I fell, but nothing else. I couldn’t move or make a sound, but other than a kind of fuzzy headache that went from the base of my skull to the top of my head, I was thinking very clearly, trying to piece together what had just happened. The gritty pain of broken teeth and a smashed nose faded to nothing, and as I became enveloped in a feeling of disembodiment, I asked myself, Is this what dying is like? Am I already dead? Then I started thinking about my daughter Jessie and how I wanted to make sure she had everything she needed. I wanted to see my yet-to-be-born grandchildren. I wanted to tell my wife I was sorry for being a fool, that I loved her; so many things left unsaid, undone. How did I get here? I asked whoever was out there. I’m just a small-town accountant. I don’t have an enemy in the world that I know of. This wasn’t my fight. How did I get pulled into this? Life had been so quiet and simple for so many years in Summertown that it was hard to imagine things could ever go this wrong. As my mind hovered within the limp shell that had been my body, I looked back through recent memories to piece together where the craziness started.